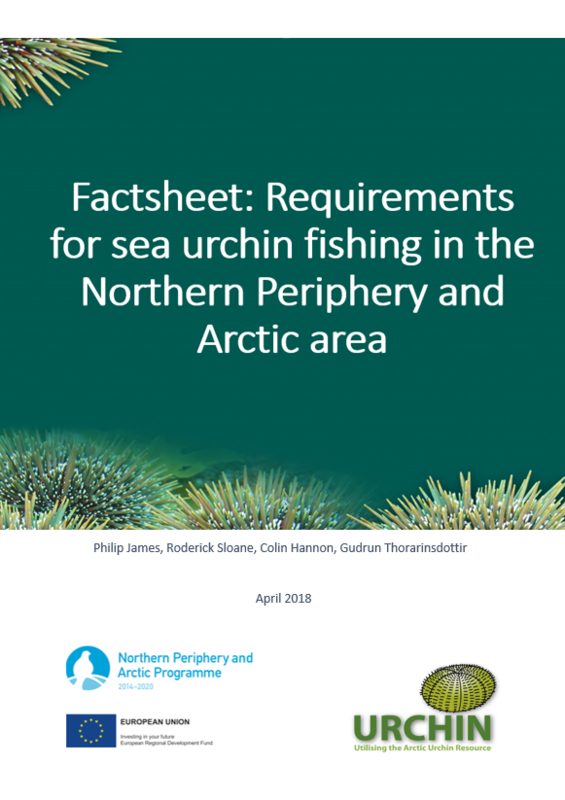 This Factsheet summarises the regulatory and logistical requirements for sea urchin fishing in the NPA countries (Norway, Iceland, Ireland and Greenland). Many of these regulations are based on EU regulations and so they will most likely apply to other EU countries also. We intend for the Factsheet to be used by potential SME and stakeholders in the sea urchin industry as an introductory guide to the requirements for entering the sea urchin fisheries in the relevant countries. NOTE: There is a review of the regulations for sea urchins happening in 2019 so there may be some changes in the coming years.